Vacation Station RV Resort is located in beautiful Ludington, Michigan, only a few miles from the shore of Lake Michigan. Catch some rest and relaxation or bring the whole family – a clubhouse is available for group gatherings and we have planned activities all season long.. The resort is open April 1st through October 31st. Enjoy free wi-fi, cable, and level concrete pads. No camper? We also rent rustic cabins and deluxe cottages. While staying at Vacation Station, take advantage of it's many amenities including a heated pool and hot tub, playground, catch and release pond, game room, newly expanded outdoor recreation area and two fenced-in dog runs for all four-legged campers. 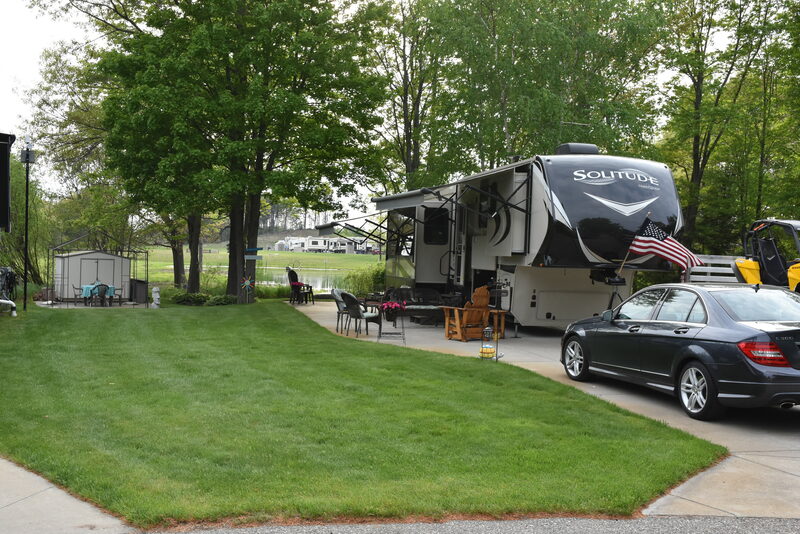 Making guest's stay at Vacation Station RV Resort as comfortable as possible is top priority – an office with camping goods, food, RV supplies and fishing gear is open daily. Laundry facility, showers and restrooms are meticulously maintained and open 24/7. Each night after the office closes, a site is designated as the “host site,” making the resort's friendly and knowledgeable staff campers available to remedy any issues or concerns that may arise while the office is closed. Note: Some map locations are approximate. Please call the venue at 231.845.1100 for exact directions.